Hooray for the diversity of cultural expression, which continues to produce such un-global branding as this. 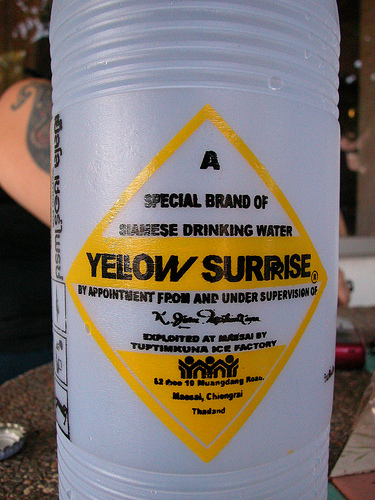 I for one don’t like surpises with my drinking water, and especially not yellow ones. No, thanks, don’t believe I am thirsty after all! From the flickr gallery of Richard Hook, who notes he got it in Thailand (chiang rai, at a guest house).